We all know that reading to our children is vitally important and helps get them started in reading for themselves. But for children who are struggling readers or who have dyslexia or a visual impairment, continuing to hear stories aloud is even more important so they are not shut off from the imaginative world of fiction and educational non-fiction books too. Even for older children who are good readers but find it tiring through disability or illness, it's still relaxing to hear books read to them, but they may not want their parents to do the reading! For all of these young people, the charity, Listening Books can be the answer. The charity has a library of thousands of audiobooks and provides a service for children and adults with disabilities. Moving with the times, they've recently overhauled their streaming service and Sebastian Moss of the charity has written all about it for us. Books can open up a whole new world to people, bringing knowledge that can inspire, cause the imagination to run wild, and allow our minds to travel through space, time and location. We can learn about anything, live in the mind of anyone and go anywhere. 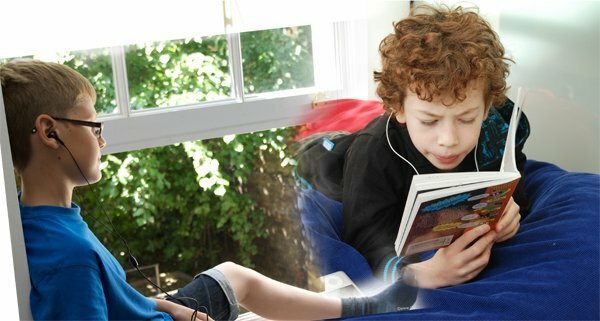 But for many young people who struggle to read in the usual way due to illness or disability, trying to find a wealth of audiobooks suited to them can be both difficult and expensive. "Children don’t have to feel left out of being able to read the latest children’s title sensation." At Listening Books, we try to make things a little easier, and offer thousands of titles on MP3, CD, as streams and as downloads. Children and young people can access a whole host of enjoyable age-appropriate titles, from big names like ‘The Hunger Games’, ‘Twilight’, and ‘Harry Potter,’ to any number of titles from Jacqueline Wilson, David Walliams and more. Children don’t have to feel left out of being able to read the latest children’s title sensation. 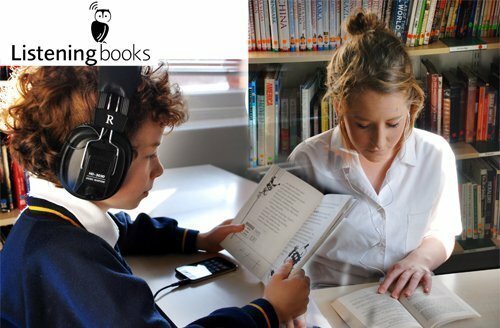 It can also be very difficult to find audio versions of educational textbooks that are used in schools as the market is generally too small for a commercial audio edition so we often record them ourselves, where we can. Key Stage texts that are invaluable for young students are for members to borrow as part of our Sound Learning library. Listening Books was founded way back in 1959, and since then we’ve helped children decade after decade and the wonderful thing is that a lot of them have reached out to us to let us know how important access to the world of audiobooks has been. However, if you are unable to afford the membership, we offer a limited number of sponsored subscriptions for free, so please get in touch. If you think the service can be of help to you or someone that you know, please don’t hesitate to call us on 020 7407 9417 or email info@listening-books.org.uk. We’re always happy to chat about which membership option is best, which books we have, which books you want us to get and any and all questions about membership to Listening Books. You can also check out our website here. Membership to Listening Books is available to anyone who finds it hard to read in the usual way, due to an illness, disability, learning or mental health difficulty. If you are unsure if you meet our membership criteria, please do not hesitate to contact our friendly library team who would be happy to help.